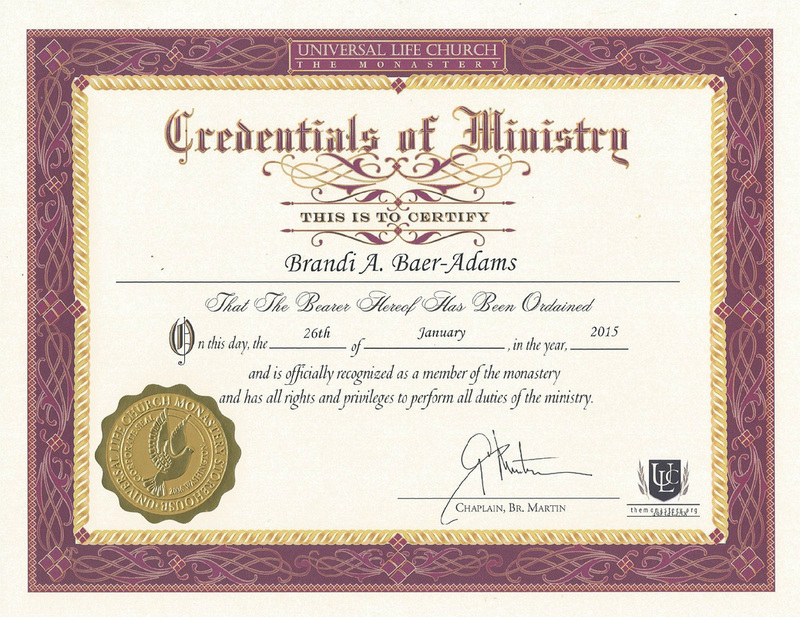 Ordained on January 26, 2015 through the Universal Life Church. 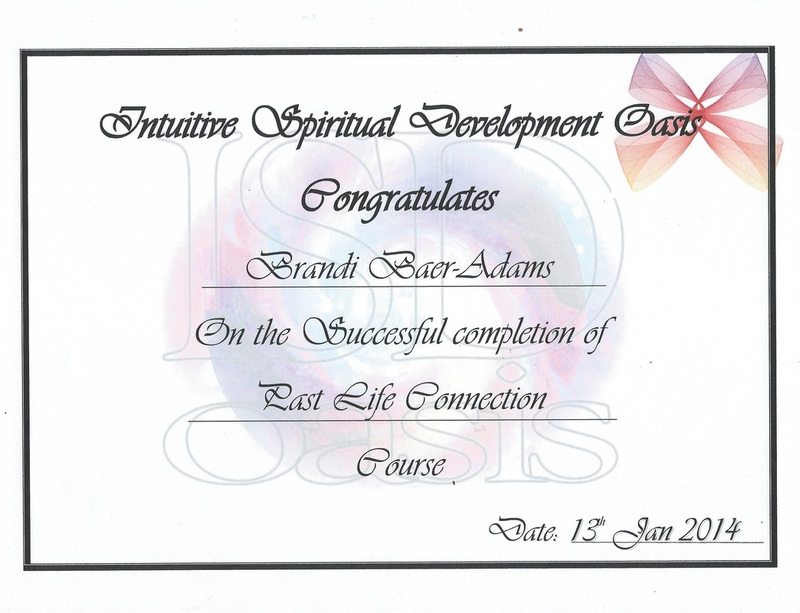 Obtained after completing a Ministerial Duties: Ethics and Responsibilities (a 30 credit hour course) through Southwestern Institute of Healing Arts (SWIHA). 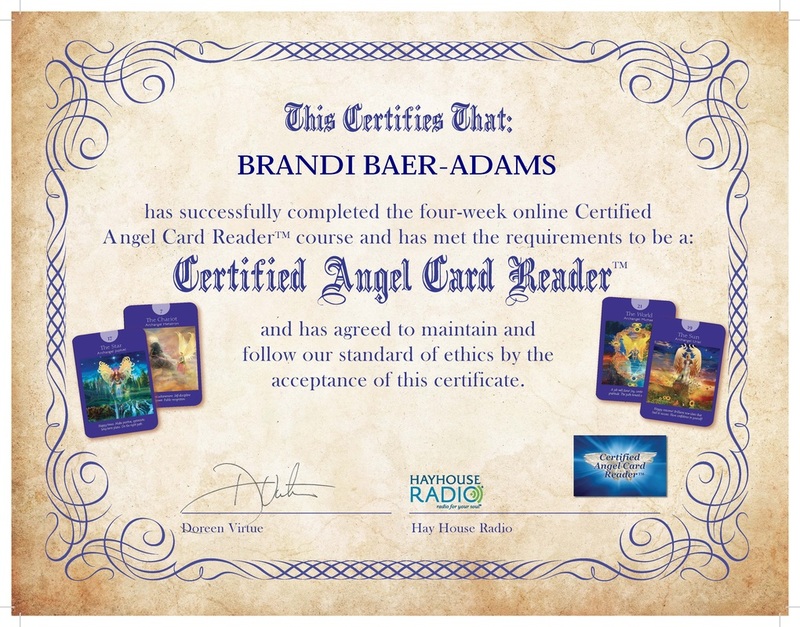 Angel Card Reader Certification comes from Hay House, Doreen Virtue and her spiritual school Angel University. 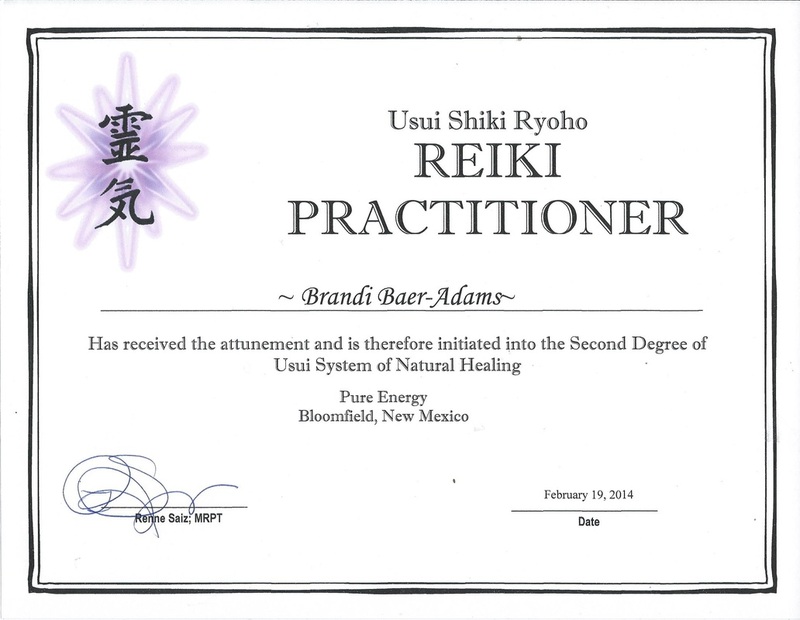 Reiki Attunements and Certificates were issued by Reiki Master Renne Saiz at Pure Energy in Bloomfield, NM. 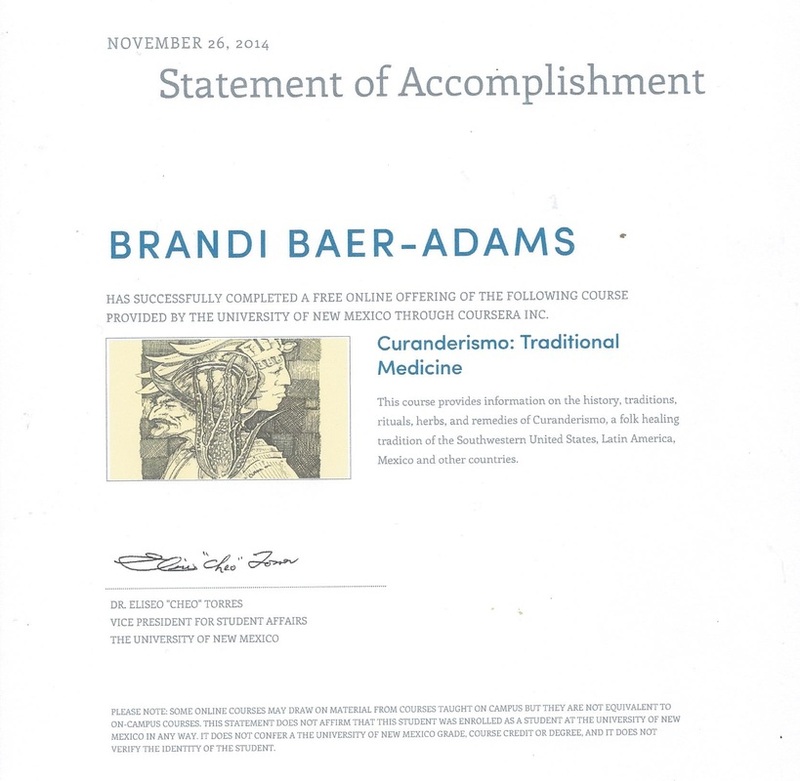 Curanderismo:Traditional Medicine Course thru University of New Mexico. Teaching about traditional Mexican medicines, plants and ceremonies. 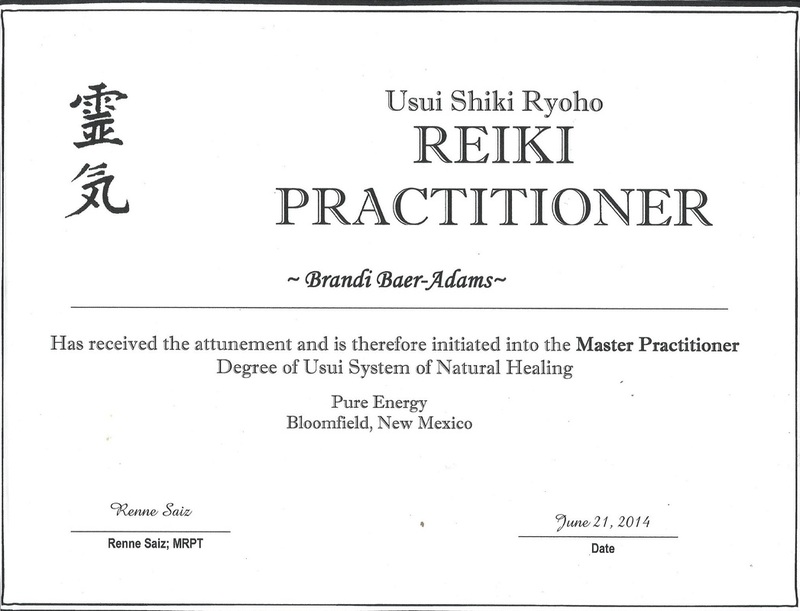 Issued by Phoenix Paton of ISD Oasis.